After our brilliant shows in 2015 and 2017, we’re delighted to be back and bringing our funky, soulful and rockin’ vibes to the masses at the world renowned Edinburgh Fringe Festival. 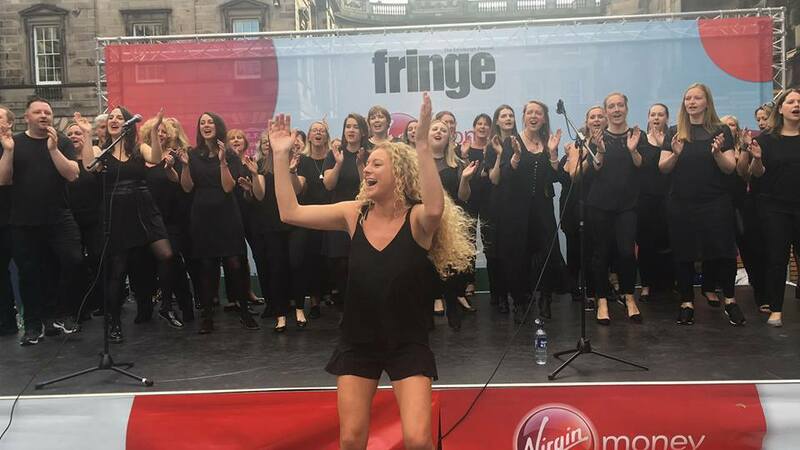 And you can catch vocalists from our Edinburgh and Glasgow groups in action on both Sunday August 5th and Saturday August 18th at the Mercat Stage, just next to St. Giles Cathedral on Edinburgh’s Royal Mile. The show on Sunday 5th shows kick off at 3.45pm while the Sunday 18th show starts at 12.15pm, with both lasting 45 minutes and always sure to draw fantastic crowds. So be sure to get there for the start to grab yourself a top spot!